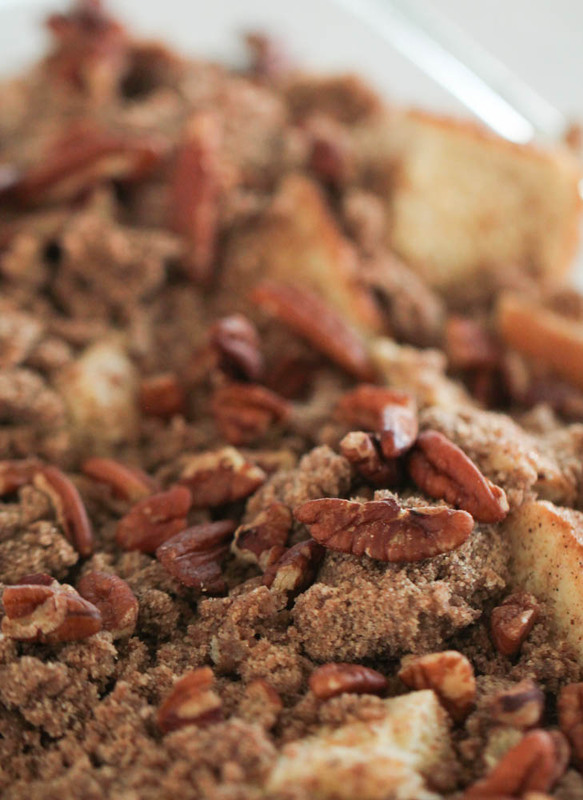 This Overnight Brown Sugar Pecan French Toast Casserole is easy to throw together and is the perfect breakfast to feed holiday guests. 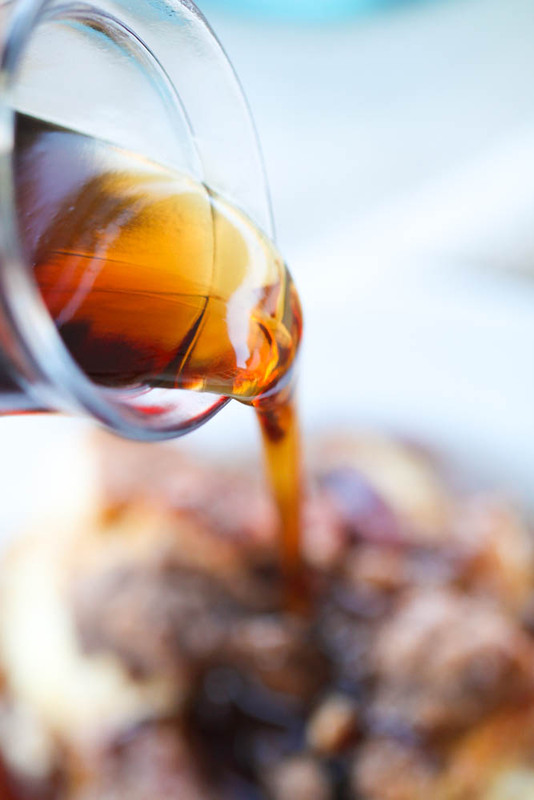 Perfectly baked french toast with a brown sugar and pecan crumble topping, served with maple syrup. I love having a hot breakfast on Christmas morning, but I don’t want to miss out on any of the festivities. 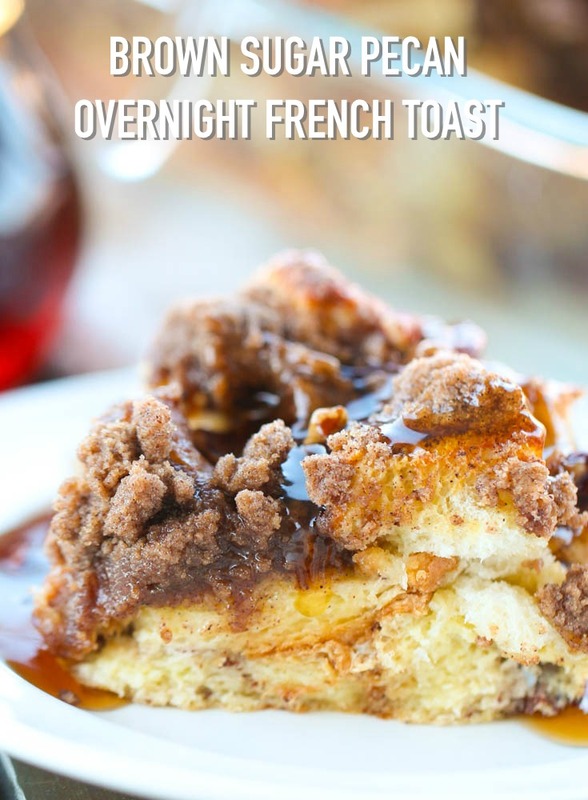 I love making Overnight French Toast Casserole the night before so all I have to do is throw it in the oven in the morning (usually while we are opening gifts) and then enjoy a delicious, homemade breakfast in minutes! 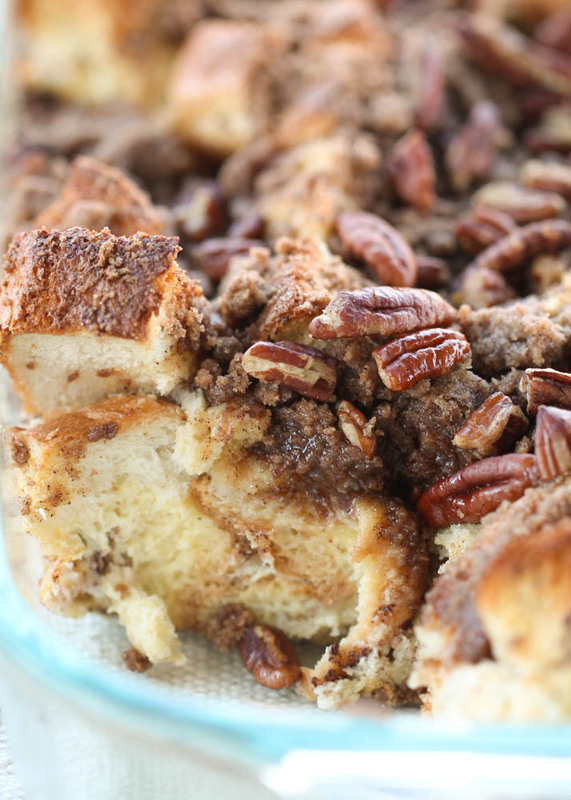 This Brown Sugar Pecan Overnight French Toast Casserole is so full of flavor that you don’t even need to serve it with syrup, but our family loves it. Not only is this french toast casserole easy to make, but it feeds a crowd! We like to serve this with our Hash Brown and Egg Breakfast Casserole (which I also make the night before) for the perfect holiday breakfast. 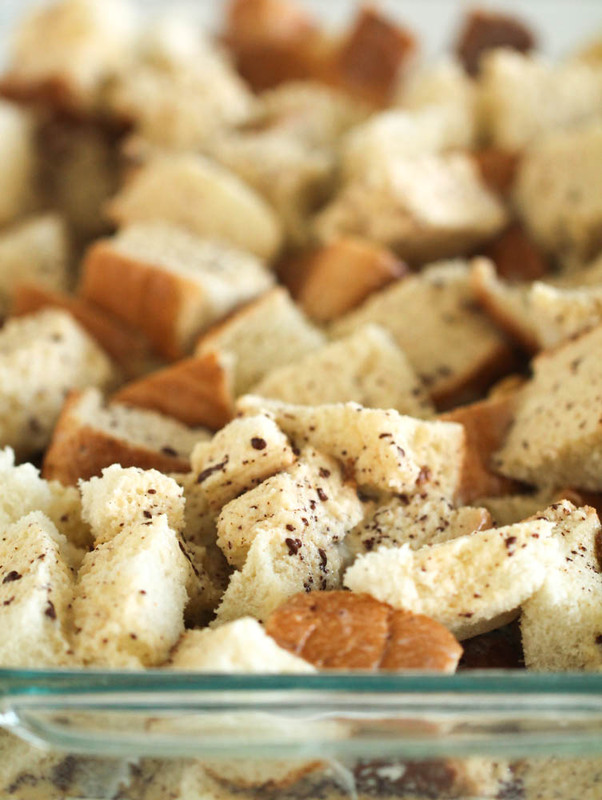 To make this Brown Sugar Pecan Overnight French Toast Casserole, start by cutting your Texas Toast (which is just a thick-cut sliced bread) into 1-inch cubes and placing it in a 9×13-inch baking pan sprayed with nonstick cooking spray. If you can’t find Texas Toast, you could always use a loaf of French Bread. In a large mixing bowl, whisk together eggs, milk, vanilla, sugar and cinnamon. Then pour the mixture over the bread in the prepared pan and set aside. 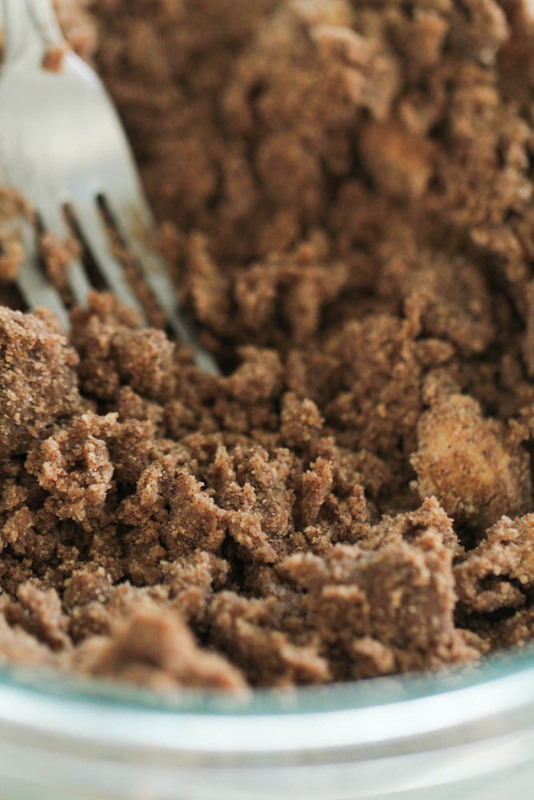 In another bowl, combine brown sugar, flour, salt, butter and cinnamon using a fork or pastry cutter until crumbs begin to form. Sprinkle the mixture on top of the bread then top with chopped pecans. Cover and store in fridge overnight. 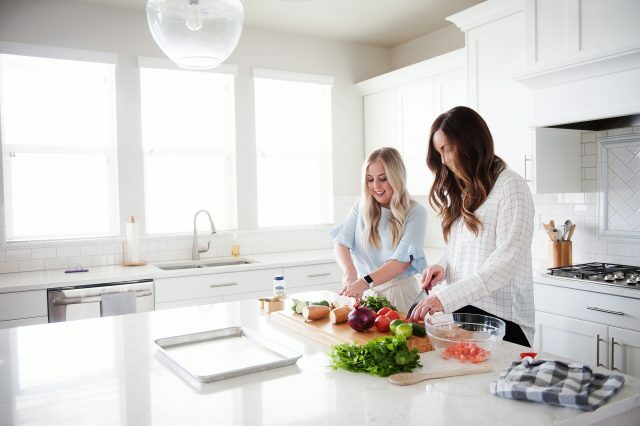 If your 9×13-inch baking pan doesn’t have a lid that goes with it, simply cover your pan tightly with foil or plastic wrap. The next morning, preheat oven to 350 degrees F. Bake, uncovered, for 40-45 minutes, or until the center is set and bread is golden brown. Cut into pieces and serve with maple syrup. Overnight Baked French Toast with a brown sugar and pecan crumble topping. 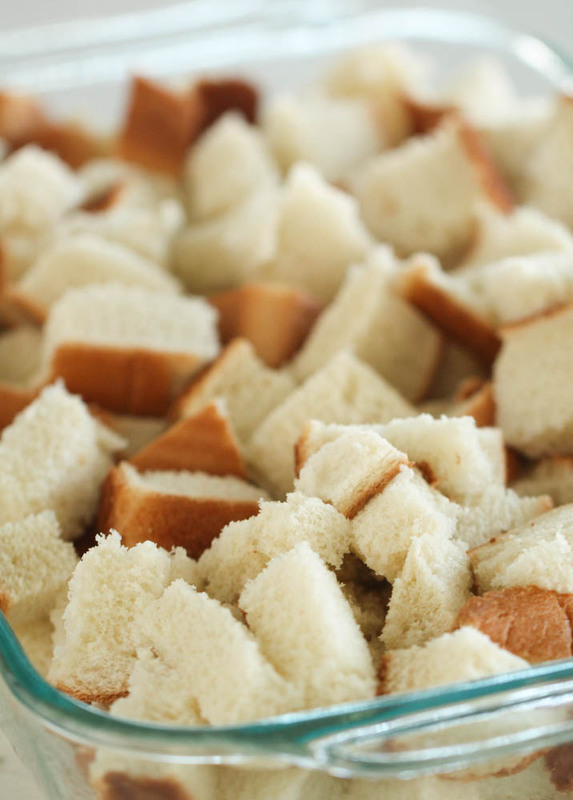 Cut bread into 1-inch cubes and place in a 9x13-inch baking pan sprayed with nonstick cooking spray. In a large mixing bowl, whisk together eggs, milk, vanilla, sugar and cinnamon. Pour over bread in prepared pan; set aside. Sprinkle mixture on top of the bread then top with chopped pecans. Cover and store in fridge overnight. Bake, uncovered, for 40-45 minutes, or until the center is set and bread is golden brown. Now that looks very tasty. I would eat those for breakfast or as dessert for lunch or dinner.